This post was inspired by Heidi’s recent post. Reading her thoughts made all of my thought fragments, shattered all over my brain, unite into actual (somewhat) clear thoughts and statements that I’m now going to share with you. I feel as if a part of the puzzle of life has been solved. With every day, I find out more about myself and that has brought me a totally new sense of happiness. I can honestly say that right now, at this very moment, I am happy and content. And I actually really truly mean it this time! What do I mean? I will absolutely try my best to explain. Shall I fail, forgive me. Right now, another stage of my life is almost over. Life as a Bachelor’s student. Yes, I will be continuing my studies in the autumn to get a Master’s degree but I still feel like one journey has ended and something totally new and exciting is about to start. These 3 years in Tartu in university have changed my life so much! Living a lot on my own, having time to think, studying and learning a lot, meeting a ton of really smart, intelligent and interesting people, meeting some people not that smart, intelligent or interesting, being stressed, having more work load than ever, making good choices, making poor choices, having new friends, finding sports and just in general: learning. Not only studying. Learning. University has been a learning experience. Learning about life and everything in it. I have learned that sometimes bad things will happen to good people. And that you sometimes can’t fix it or do anything about it. Period. I’m not almighty. 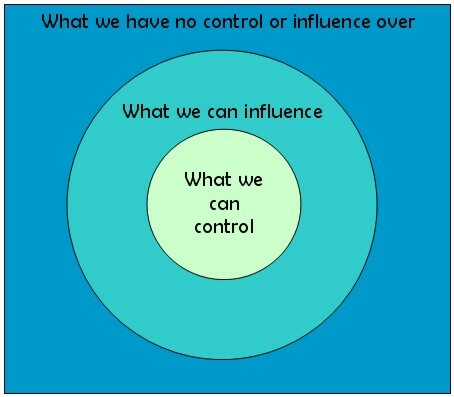 I have control over a little, influence on some and most sh*t will just happen because it’s out of your “zone”. You can (and most times should!) try to change things that you don’t like but sometimes your effort is not enough. I have learned to accept stuff and be flexible. But at the same time, I have further developed my most valuable virtue: being determined as hell. When personal effort isn’t enough, maybe only finding one other person willing to put some effort in will change things? Or maybe finding 10, 100, 1000 other people will help? Sometimes in teamwork, 2+2 doesn’t equal 4, it equals 5 or even a lot more. Or maybe you just need to try harder? I’ve learned that I can always try or work harder. I can do so much more than I give myself credit for! And so can you, my dear reader. I can do anything if I put my mind to it. And being determined: I consider that an important strength I have. I’ve learned that being determined, however, shouldn’t mean being stubborn and running into walls face forward just because the wall was built after you made your plan and headed out your front door. Be determined but at the same time, be flexible. Be open to change. Sometimes not following the plan is the best thing you can do. Sometimes mistakes lead on new and even more thrilling roads. Mistakes are the opportunities to learn. Don’t waste them! Make your mistakes, learn from them, move on as a better human being. Simple as that. And lastly: always look at the long perspective. Don’t get stuck in the process! Let me know bring you some examples of the stuff I talked about. Sh*t will happen and you can’t fix it –> just let go and move on. I won’t bring examples here since the most obvious example that inspired me to write that paragraph is really personal. Sometimes letting go and not wasting your energy is the best thing to do. Just trust me on this one. Letting go of some stuff has helped me find my happiness. Be determined & work hard. Had someone told me 2 years ago, that I’ll be a normal weight and loving sports right now, I would have laughed out loud in their face. I hated most sports. I had accepted the fat and unhealthy me. But I decided to change my life and stayed true to my decision thru all the bad and tough times. Sometimes professor Reiljan’s subjects seemed absolutely impossible to pass but I still passed them all and with fairly good grades and am graduating soon. Set goal, work for it, achieve it. Teamwork! Some things you can do alone but sometimes you need support. Don’t be afraid to ask for it! I have lost connections with all the people dragging me down and being my “friends” only when they needed me and not when I needed them. I now have people who actually care about me and who I care about in my life. This is so valuable to me. I cannot express it in words. My family has never judged my big life decisions. Even if they haven’t agreed with me 100%, they have still stood by my side. Even though they didn’t think much of my LCHF lifestyle, they still supported me. Only after my low-carb lifestyle ended, my brother told me: “Oh, thank God!” 😀 All of my friends, from sports, internet, blog, school, university and everyone else, are true friends. I can feel their support all the time. Even if we don’t talk for a long time, I still now we think of each other and wish well. And when we meet again, nothing has changed. And lastly I have to especially bring out my very special kind of friends: people at TYSK, my fitness club. They are not just instructors, coaches or workout mates, they are my friends. And I appreciate them so much. They give me support, advice, inspiration and motivation. Be flexible. My recent ankle injury is a perfect example of what being stubborn gets you. Bad things! Flexibility is important. 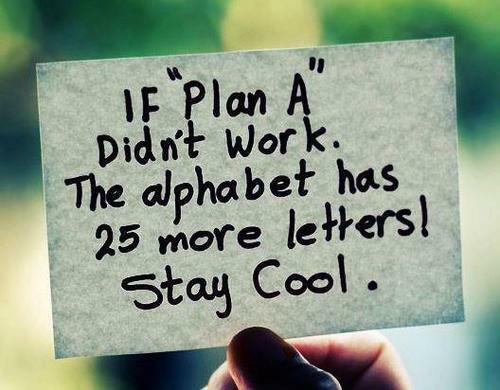 Sometimes you have to alter plans if they are not working. This applies to my self-composed half-marathon training plan. On some occasions I felt like I needed more rest than was in the plan. I didn’t listen to my body, I blindly followed a plan. (Which by the way, was altered from an online plan by myself. Who am I to make training plans? I don’t have enough experience for that.) Basically, not listening to my body and giving it enough rest was followed by an injury exactly 6 weeks after the plan started. Set goal, make plan, change it if needed, work hard, achieve goals. Flexibility and an open mind are key. Don’t get stuck in the process and forget to look at the bigger picture. Don’t forget to see the forest behind the trees! 🙂 I was so stuck on my goal to complete the half-marathon, that I ignored my body’s signals. An over-enthusiastic beginner’s mistake that I continue to learn from every day. I let my mood get really down because of my injury. I had complete heureka moment when my coach Maris told me: “This is not your last race of the season or of your life. You can run your whole life.” This absolutely logical and well-known truth hit my like lightning. I’m in the beginning of my fitness journey. I have 50+ years of doing sports ahead of me if that’s what I want to do. I’m 22. That’s just about 1/4 of my life! I learned to look at the long perspective and the bigger picture. Maybe I have to hold back a little now to keep going in the future? Always think about what today’s decisions will do for you tomorrow. Or next month. Or next year. Or when you’re 80 years old.